Watch the club go!...... with this scintillating selection ofclassic house piano grooves from Smash Up The Studio.Features bangin' piano house thru to more sophisticated piano anthems! Played by a top pro keyboard player. 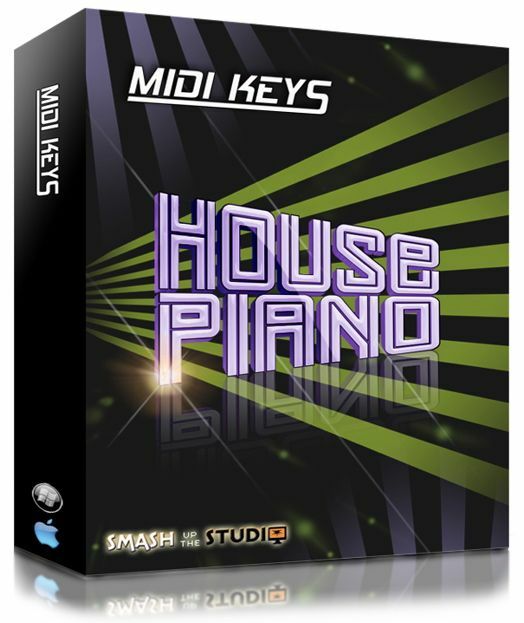 Smash Up The Studio brings you "MIDI Keys: House Piano" A superb collection of MIDI loops covering all styles of piano house. Stunning dance floor grooves with wicked chord progressions. This is the definitive house piano library. classic house piano grooves from Smash Up The Studio. piano anthems! Played by a top pro keyboard player. Smash Up The Studio brings you "MIDI Keys: House Piano"
A superb collection of MIDI loops covering all styles of piano house. Stunning dance floor grooves with wicked chord progressions. This is the definitive house piano library. 125 BPM all you need do is pick a cool sound. velocity, length and a whole host of other editing capabilities. Performed and produced by Steve Burton. legendary labels like Strictly Rhythm and Ministry Of Sound.